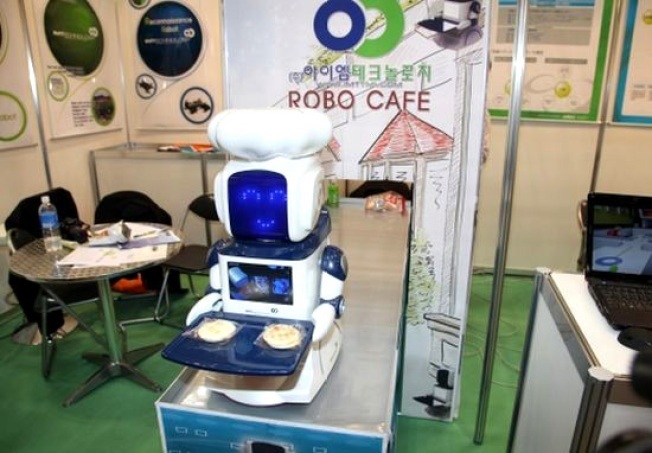 Korea's ITM Technology has come up with yet another means of increasing the human unemployment rolls with the creation of the Robo Cafe. The tiny robot would essentially take orders and deliver the finished food and drinks to its human patrons with no attitude and no need for a tip. In addition to the elimination of the human touch, the robot would also allow customers to order verbally or via touchscreen. Thankfully (for waiters around the world), this is still only in the development stages.